The stand-in skipper, possibly the most prolific white ball player after regular leader Virat Kohli, has gone off the boil since the start of the South Africa series. Skipper Rohit Sharma will be desperate to get back to form as a resurgent India look to set their record straight against hosts Sri Lanka in the third match of the Nidahas Tri-Series, on Monday. He will like to score heavily to get his confidence back as he frets on whether he could give Rishabh Pant another game in the tournament. Touted as Dhoni's successor, Pant is yet to do justice to his immense potential till now. With someone like KL Rahul waiting for his chance, time is running out for the burly youngster from Rourkee. Rahul's presence gives his skipper an option to use him as an opener and himself come at No 4, dropping Pant from the XI. It was not a perfect start for India's second string squad in the tournament as they lost by five wickets against the hosts in the opening match. But the Sharma-led side bounced back strongly to beat Bangladesh by six wickets in their next match. So Monday's match would provide India with a chance to make amends for the mistakes they committed against the Islanders in the opener. The tournament is currently evenly poised as all the three teams have won a game each from two outings but Sri Lanka are leading the table on net run rate ahead of India and Bangladesh. But a win tomorrow would take India to the top, dislodging the Lankans. Opener Shikhar Dhawan is in imperious form with two back-to-back half-centuries in the tournament so far. After his 49-ball 90 in the opener against Sri Lanka, Dhawan made 55 off 43 deliveries to help India chase down Bangladesh's below-par 140 total with consummate ease in the last game. After an indifferent Test series against the Proteas, Dhawan found his mojo back at the start of the limited overs leg in South Africa which can be ascertained from his sequence of scores in the last five T20 -- 55, 90, 47, 24, 72. 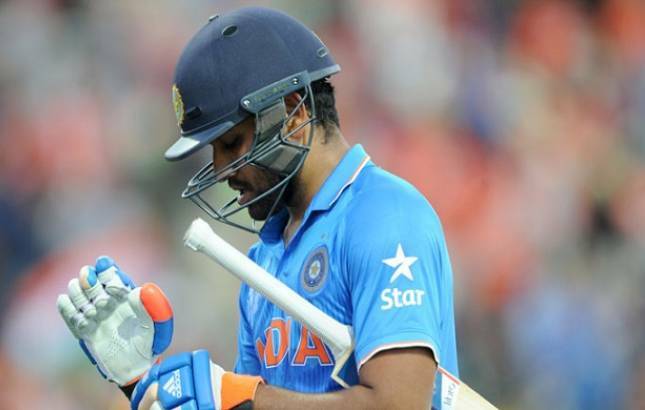 But Rohit's form remains a cause of concern for India as he made 17,0, 11, 0 and 21 in the last five T20 matches. Among other Indian batsmen, Manish Pandey (37, 27) looked in good nick and along with comeback man Suresh Raina and Dinesh Karthik form the core of the team's middle-order. On the bowling front, Jaydev Unaadkat needs to be more consistent. The left-arm pacer has picked up four wickets in two matches so far but leaked runs which is not expected while spearheading the attack. The young and inexperienced Indian bowlers have done a decent job so far with the likes of Washington Sundar, Yuzvendra Chahal and Vijay Shankar living upto their expectations. Sri Lanka, on the other hand, would be smarting from the shocking five-wicket loss to Bangladesh last night. Bangladesh pulled off a memorable record chase to stun the Lankans last night, ending their recent run of reverses against the islanders owing to Mushfiqur Rahim's belligerent 35-ball 72. Chasing a mammoth 215 in the stipulated 20 overs, Bangladesh crossed the line in 19.4 overs for the loss of five wickets, which was the fourth highest run chase in T20 Internationals and Bangladesh's best. The Lankan bowlers were taken to cleaners by Bangladesh batsmen and the hosts would be hoping for an improved show tomorrow. On the batting from, the two Kusals -- Kusal Mendis and Kusal Perera are in fine form for Sri Lanka. Indian bowlers would be wary about Perera, in particular, who has scored 66 and 74 in the two matches, while Mendis made 57 against Bangladesh on Saturday. Team India: Rohit Sharma (c), Shikhar Dhawan (vice-captain), KL Rahul, Suresh Raina, Manish Pandey, Dinesh Karthik (wk), Deepak Hooda, Washington Sundar, Yuzvendra Chahal, Axar Patel, Vijay Shankar, Shardul Thakur, Jaydev Unadkat, Mohammad Siraj and Rishabh Pant (wk). Team Sri Lanka: Dinesh Chandimal (c), Suranga Lakmal (vc), Upul Tharanga, Danushka Gunathilaka, Kusal Mendis, Dasun Shanaka, Kusal Janith Perera, Thisara Perera, Jeevan Mendis, Isuru Udana, Akila Dananjaya, Amila Aponso, Nuwan Pradeep, Dushmantha Chameera, Dhananjaya De Silva.